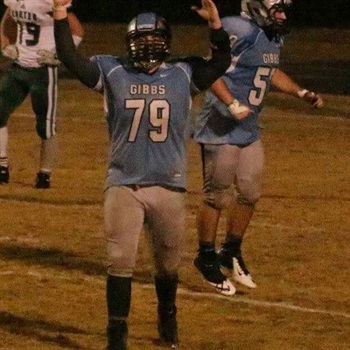 Corryton, Tenn., Gibbs 2018 lineman Dalton Widner was impressive last weekend at U of L’s camp. The 6-foot-3, 280-pound Widner was a standout on a day when the U of L staff had several recruitable linemen on campus working out. He was very solid in one-on-one drills with the defensive line and moves well for a big kid. His twitter profile made me smirk cause I know that backdrop anywhere. That’s the Sun Sphere in Knoxville at the Worlds Fair park. Actually had my law school graduation there. nice add. has the frame to put on another twenty pounds but that is a good writeup. i believe navy also offered. That guy in center of pic is 280? He looks like 220.